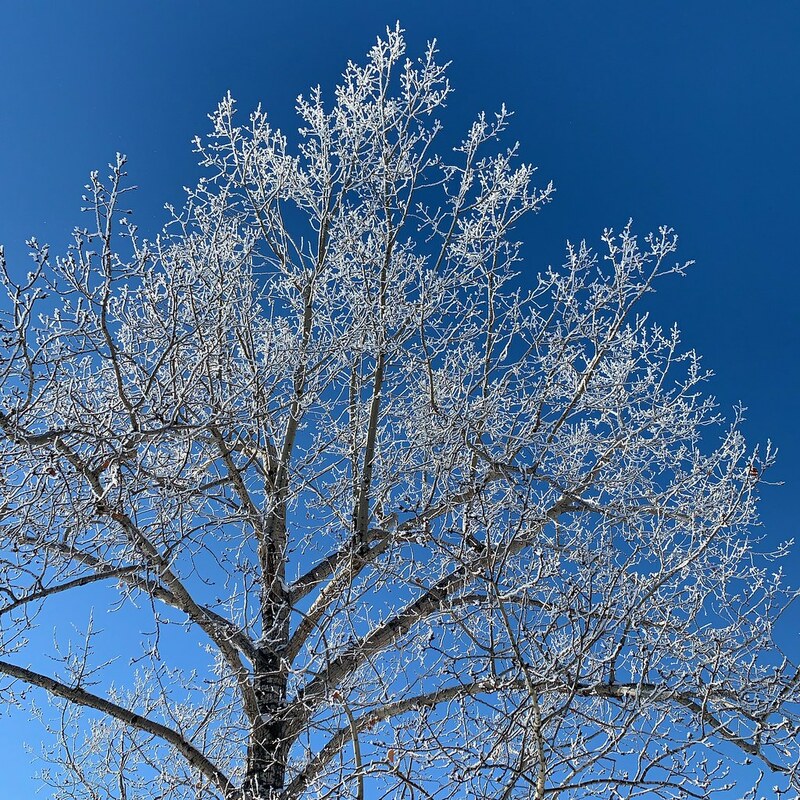 Some beautiful hoar frost during a deep cold spell in Calgary earlier this winter. 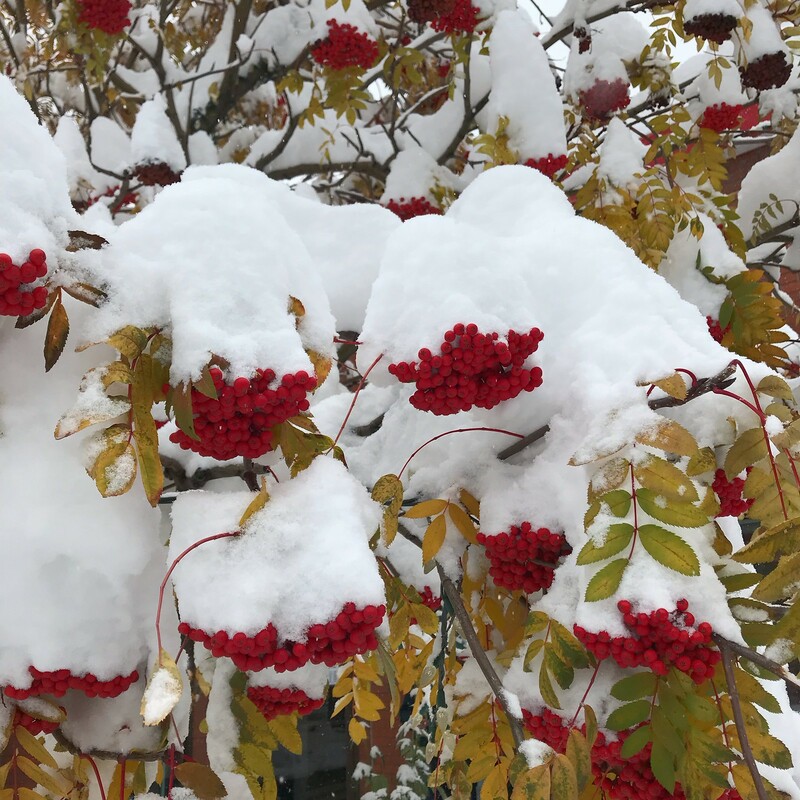 A fresh shroud of snow can’t hide the colourful fruit of this tree. Another snap from Tuesday afternoon, from a wander I undertook during a (slight) break in the snowy weather. 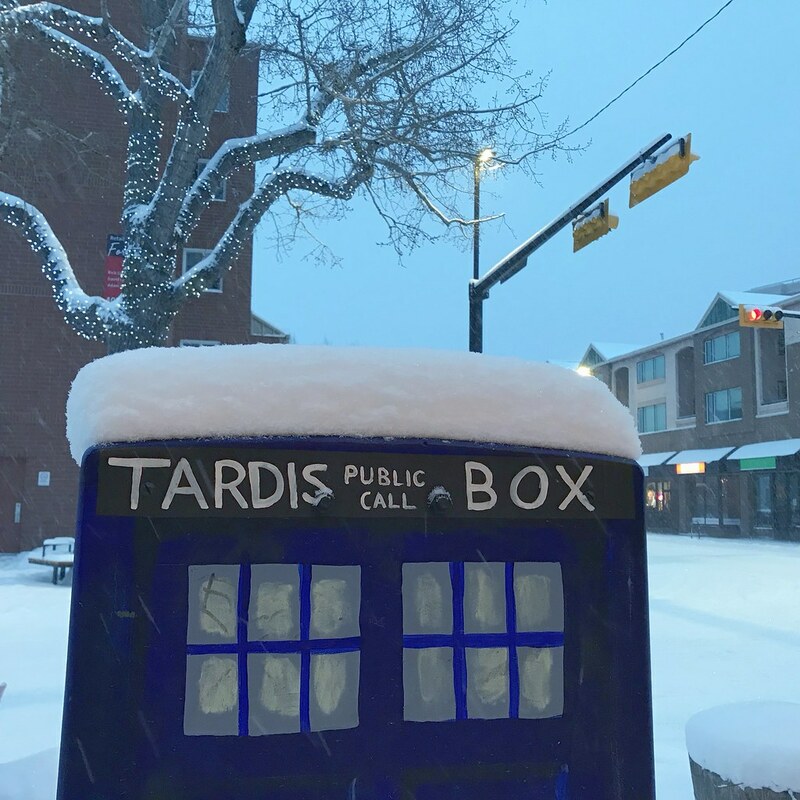 One of the quick snaps I took yesterday after Calgary got walloped by a record-breaking snow storm, with the official record showing almost 33 cm accumulated on Tuesday. 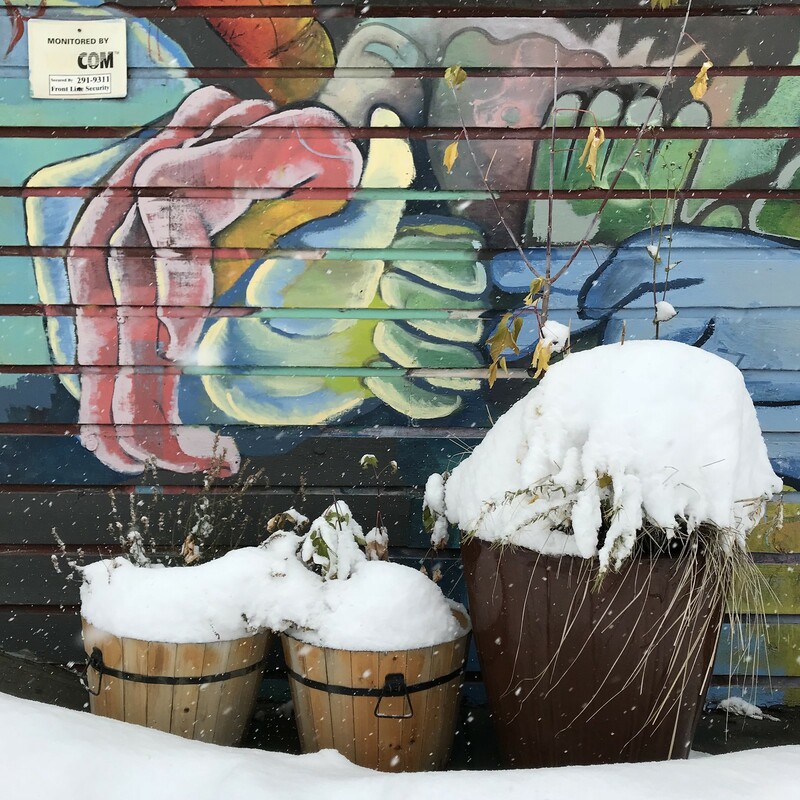 Some neighbourhoods got closer to 40 or 50 cm. 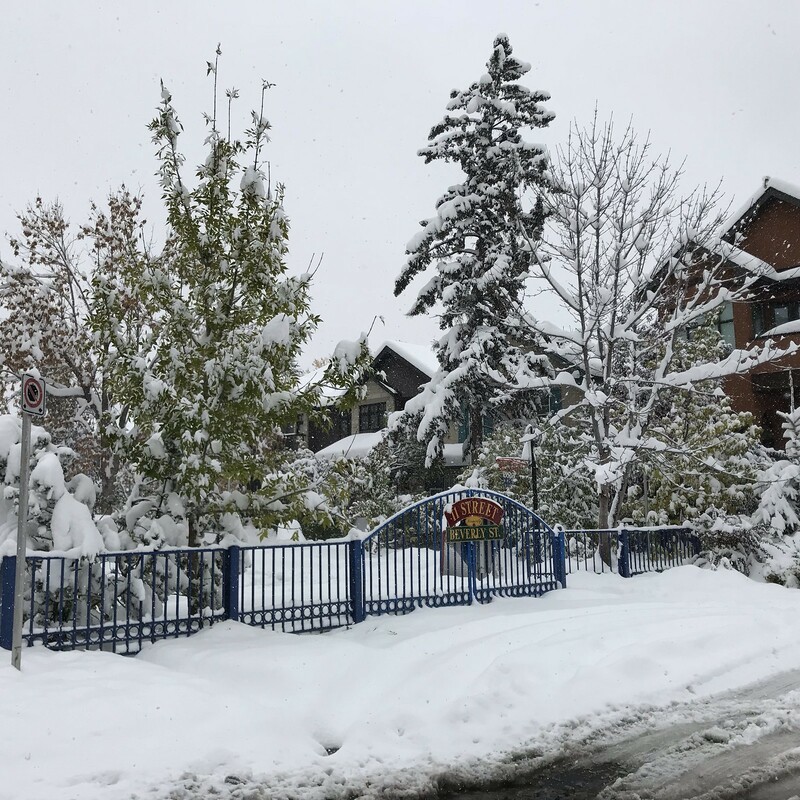 Tuesday’s snowfall made it Calgary’s snowiest day since 1981 and snowiest Oct. 2 in the weather record books. 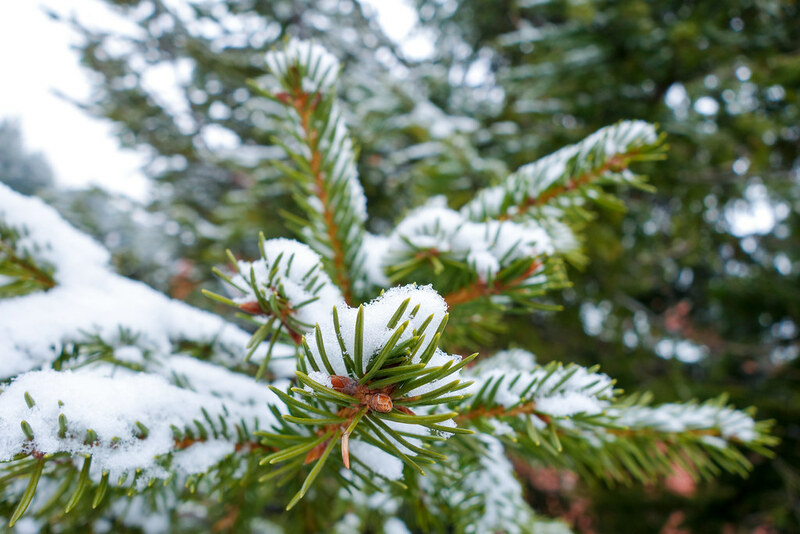 There is a distinctly wintry feel outside today, despite what the calendar might suggest. 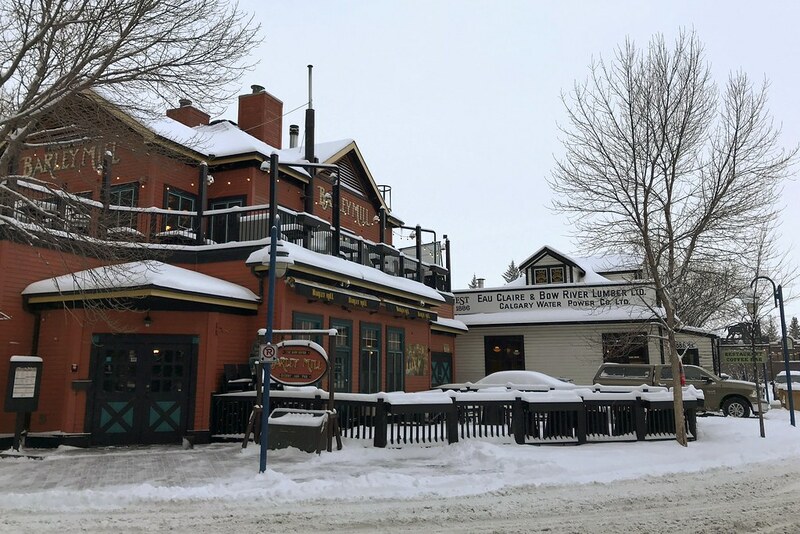 Here’s how the Eau Claire area of Calgary looked after the big snowfall just before Christmas. 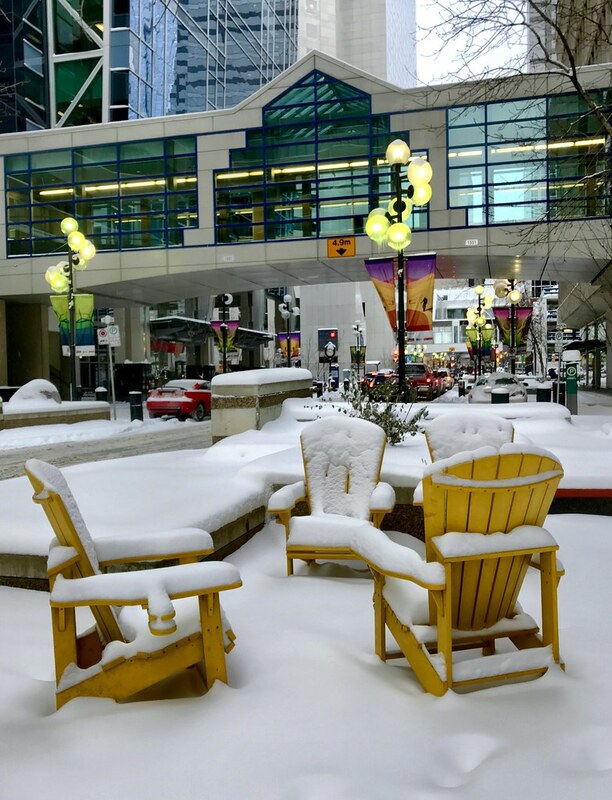 Calgary got a fresh dump of snow last week, as shown above, and the weather has since gone into extra-deep-freeze territory … so I doubt these chairs on 3 St. S.W. downtown will be put to good use anytime soon! 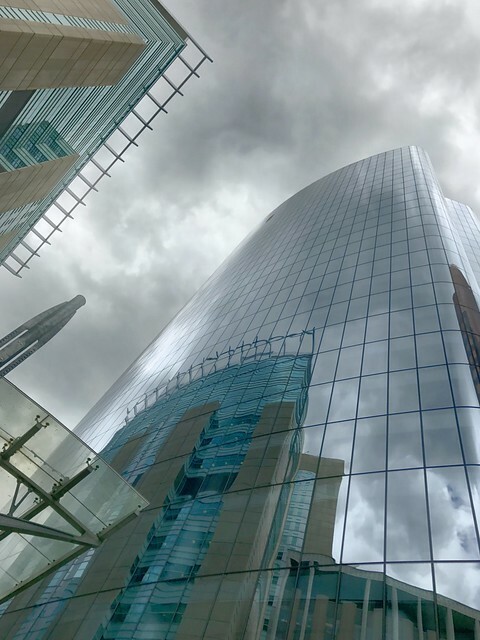 From one of the gloomier weather days in Calgary last week.